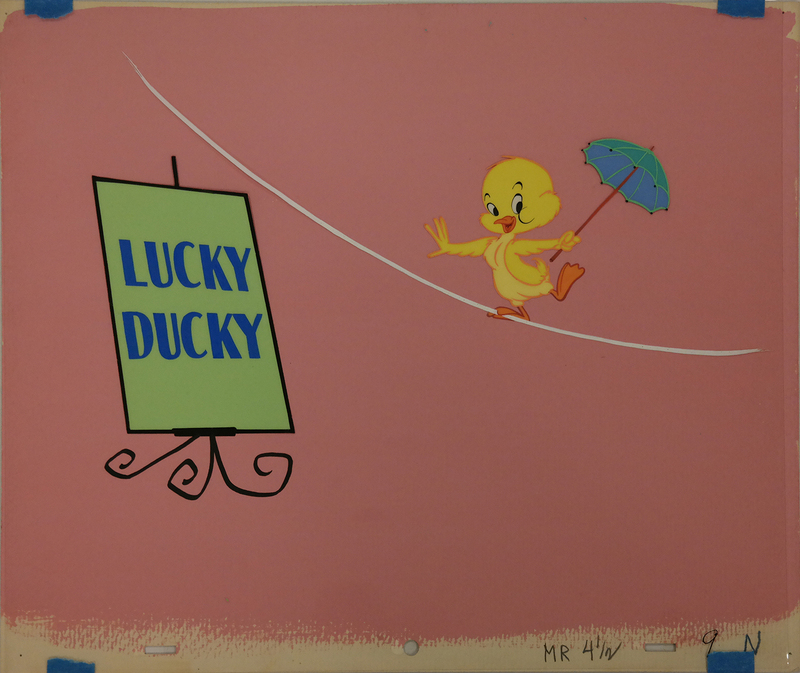 This is an original title card set up featuring Lucky Duck that was used in the production of the opening for the MGM Cartoon Carnival (1959). The set up features a hand painted cel and hand-patinted background. The entire piece measures 10.5" x 12.5" overall.